Workers were producing 43 percent more goods in the 20’s, but the average salary wasn’t keeping pace. Because consumers couldn’t afford the very products they were making, they bought less, and companies were overstocked. 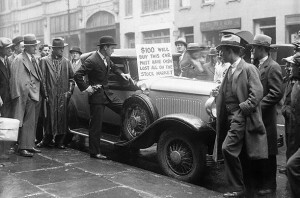 The automobile industry introduced the practice of buying expensive items on installment plans, and credit was being extended to just about everyone. 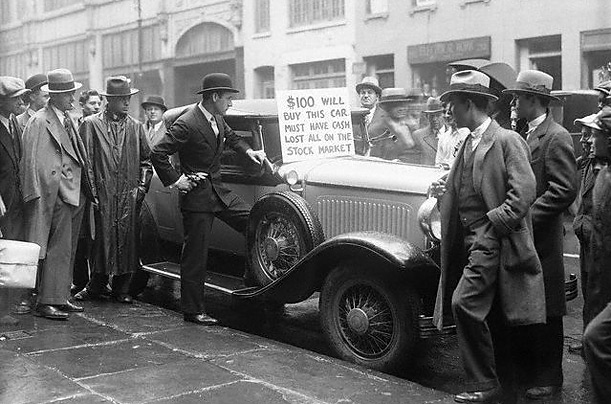 When the Stock Market Crash occurred, many people lost their life savings and had to start liquidating their assets to make ends meet as credit along with jobs dried up almost overnight. The above stock photograph is evidence of the suffering most Americans went through when the Great Depression took hold.